Firetrust Limited has announced today in conjunction with the Internet Industry Association’s (IIA) Spam Initiative an offering of MailWasher Pro at a special price for Australian residents. 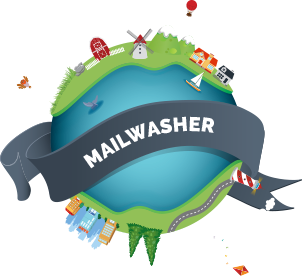 MailWasher Pro is available as a 30-day free download and at a special price to Australian residents of USD19.95 until 16th August 2003, that’s a saving of more than AUD15.00. MailWasher Pro is designed to provide PC users with an effective and easy solution to getting rid of spam, viruses and unwanted e-mail. MailWasher Pro works extraordinarily quickly because it simply downloads the header information of an e-mail, leaving the body of a message on the ISP server. By filtering spam from a user’s inbox, MailWasher Pro saves both time and resources as it only allows legitimate e-mails to reach users. Users can also protect their computers from viruses by detecting infected e-mails before they are downloaded. Featured on CNN and BBC World and named by Steve Bass of PCWorld as his “favourite spam fighter,” MailWasher Pro offers superior ability to combat spam and unwanted attachments from e-mail by allowing messages to be previewed before they are downloaded or deleted. MailWasher Pro also has a unique “bounce” feature that returns messages to spammers informing them that the recipient’s address is invalid. “We are delighted that all over the world, associations and legislative authorities are taking steps to curb the proliferation of spam,“ said Nick Bolton, MailWasher Pro’s creator. “The ever increasing problem is expected to get worse before it gets better, detracting from the value e-mail offers and being a nuisance for home users, to robbing businesses of productivity and network bandwidth,” he said. Since the launch of MailWasher in August 2001, Firetrust has generated many loyal users with their unique and highly effective products. To date more than 2,500,000 users experience the benefits MailWasher offers. MailWasher Pro looks similar to Outlook Express, is user friendly and takes only minutes to learn to use. The product has the added advantage of working well on all major e-mail servers because it supports the POP3 protocol— the most common way to access e-mail, and Hotmail. 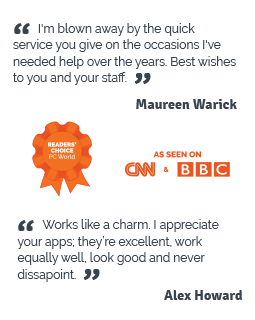 Thorough and prompt support is provided via e-mail, with the support team providing individualised responses to each query. Those interested in taking up this offer should visit www.firetrust.com. About Firetrust LimitedFiretrust was established in 2000 to provide world-class e-mail security products for business and home users. Firetrust provide solutions across the spectrum of inbox protection, including MailWasher® Pro for unsolicited commercial e-mail (spam) and Benign® to neutralise harmful e-mail which can contain viruses, worms, scripts and web bugs.